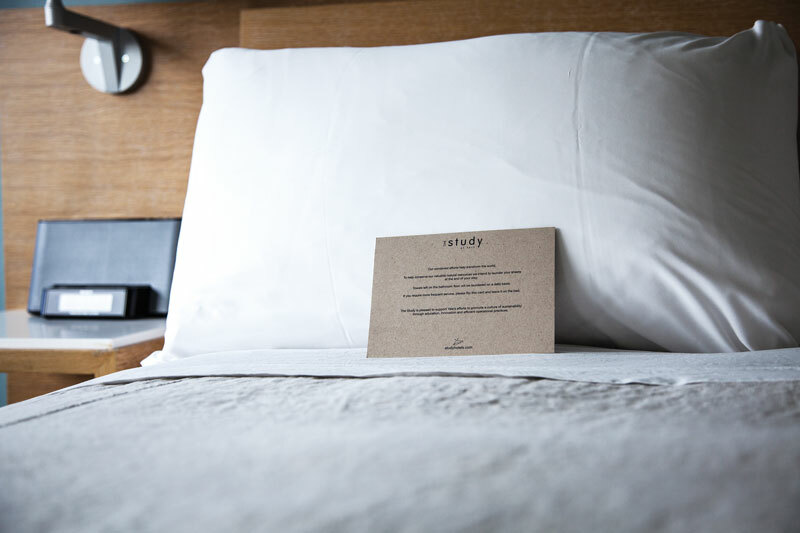 A housekeeping card is placed in every room informing guests about green laundry initiatives. NEW YORK—Study Hotels, a brand focused on accommodating the needs of university markets, is also focusing on sustainability with new initiatives being put into place at its properties. Sustainability has always been a core brand value for Study, from its food and beverage practices to energy conservation to recycling. 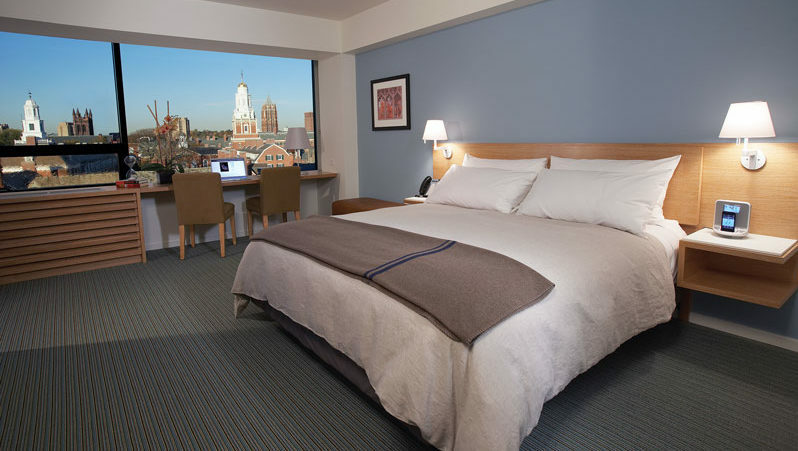 With properties at Yale University in New Haven, CT, and in University City in Philadelphia near Drexel University and University of Pennsylvania, Study Hotels’ locations proximate to universities allow the properties to cater to a specific type of guest: a guest who not only embraces—but also expects—these types of programs in place at hotels. Current initiatives include donating products and eliminating single-use plastics, among others. Study Hotels donates bathroom toiletries, including shampoos, conditioners and soaps, to Clean the World, an organization that recycles hotel amenities. 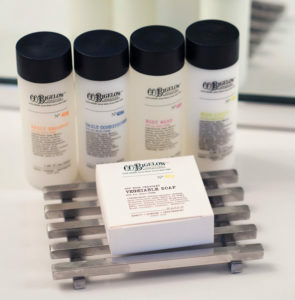 According to Paul McGowan, Study Hotels’ president and founder, Study has donated more than 5,000 pounds of used guestroom toiletries from The Study at Yale since April 2013. In addition, plastic containers and remaining soap are recycled to create hygiene kits. Study plans to begin Clean the World initiatives at The Study at University City later this year. Study Hotels also donated electronics from its old corporate offices to Apple through Apple’s GiveBack Program and used furniture from the Yale location’s renovation—60 bureaus, mirrors, desks and chairs—to the Boys & Girls Club of New Haven. “We donate items throughout the year as we update our spaces. The process is quite seamless… We contact the local charity and they arrange for transportation on the day the furniture is ready for donation,” McGowan said. 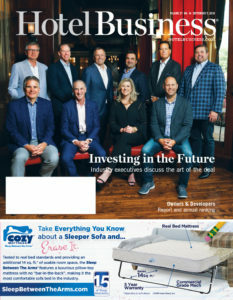 These programs also extend into food and beverage operations. Study Hotels’ leftover banquet food is donated to the Food Rescue organization and restaurants compost through Blue Earth Compost. According to McGowan, through just one restaurant, Study composts an average of 1,300 pounds of food monthly. While hotel management can only do so much, a lot of the responsibility falls on employees and guests, which Study Hotels aims to instill. While Study encourages these types of sustainable efforts, a lot of employees’ and guests’ concerns about the environment are already inherent. Study’s guests are often college students—millennials or Generation Z—or parents and families of this age group, so a lot of the guests are generally environmentally conscious already, McGowan said, having grown up with or been exposed to green initiatives. “Our initiatives have been well received. For instance, when we switched from a plastic to a wood-based stirrer, this was an easily accepted update for a Gen Z or millennial, while others would specifically ask our team for a ‘traditional’ plastic stirrer. After our team explained the environmental reason for the change, these guests gratefully accepted the change,” McGowan said. Study also makes it easy for guests to make environmentally conscious decisions, like equipping each guestroom with separated trash and recycling bins and providing biodegradable to-go materials, such as containers and utensils. “We take a subtle approach to encouraging guests to stay environmentally friendly. We want it to be an organic experience (recycling in guestrooms, removing single-use materials). We have a ‘no hassles’ approach with our guests—we do our best to manage these initiatives behind the scenes,” McGowan said. Being in close proximity to universities presents opportunities not just for guests but for Study as well, including ways to get involved with the surrounding academic communities. Guestroom furniture was donated to the Boys & Girls Club of New Haven. “We’ve had students at the universities approach us with their sustainability initiatives to incorporate into their projects. A former Yale University student from the School of Forestry wanted to start a company that provided acorn feed to animals. We acknowledged the benefit of acorn feed and developed a relationship with the farmer who purchased acorn feed from this former student,” McGowan said. These types of programs are mutually beneficial and ultimately have the same end goal—making the world a safer, cleaner place to live, while helping others in the process. 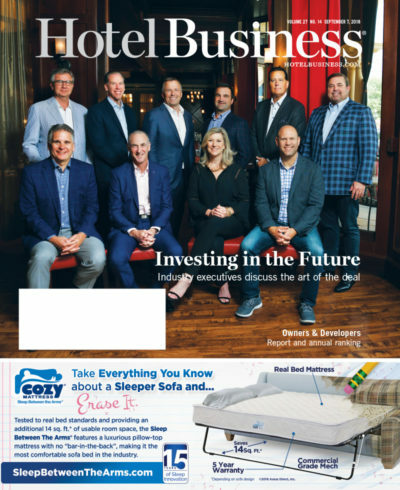 McGowan said that in order for hotels to continue this mission, properties need to ensure these types of programs continue to run successfully, while also maintaining exceptional guest service.